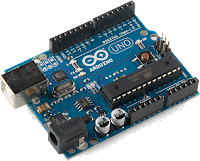 Arduino is a project that combines an easy-to-interface single-board microcontroller with an intuitive cross-platform, integrated development environment and simplified instruction set. In English: you can plug it into any computer and program it to interface with about anything! Arduinos can do planes, trains, and rockets! Your imagination is the limit. A USB-A cable. Seriously. That is it. Oh, and a computer to connect to. You are using one now, right? 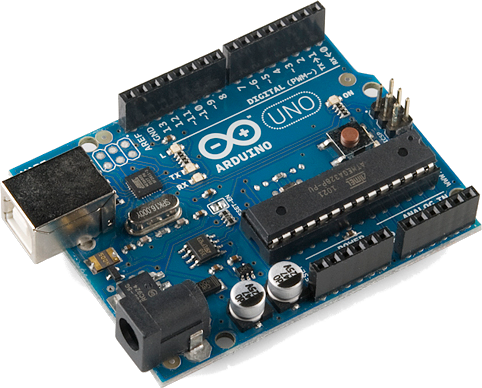 Download the software from arduino.cc. Plug you Arduino in using the USB cable. If see your "Pin 13" LED is blinking on the board. Both Adafruit (http://learn.adafruit.com/category/learn-arduino) and Sparkfun (https://learn.sparkfun.com/) have excellent educational websites with tutorials. Instructables.com is another good source of interesting Arduino projects. Adafruit has weekly "Show and Tell" and "Ask an Engineer" shows which keep you abreast of new projects and products, and allow you to ask serious Makers your burning questions. Game of Life bicycle tail light.